Rigorous Quality Standards Yield Powerful Results! 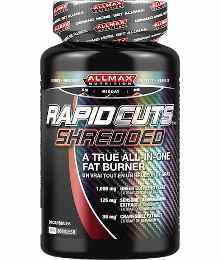 Allmax Nutrition believe in dedicating themselves to strict policies of quality in manufacturing. They maintain the absolute highest grade of manufacturing for all their supplement products – pharmaceutical grade cGMP, government-inspected facilities featuring state-of-the-art conditions with sealed air-pressurized chambers. ALLMAX ARE OBSESSIVE about testing and analysing each and every batch of their product. They go well beyond the call of duty to ensure that what they put on the label is actually in the product and in the required amounts and concentrations. They laboratory test every lot and every ingredient to ensure 100% validity. ALLMAX customers understand the importance of following a solid diet and training hard in combination with our high quality products. We understand that our customers demand more, which is why we consistently supply cutting edge supplements to help them achieve their goals as quickly and efficiently as possible.